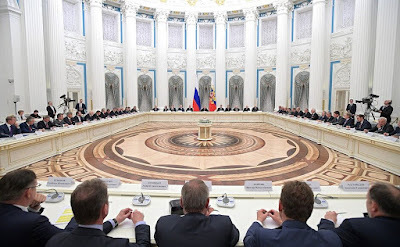 Vladimir Putin met in the Kremlin with representatives of the Russian business circles and associations. Meeting with representatives of the Russian business community in Kremlin. The meeting was attended by over 50 business leaders, CEOs of leading private companies and companies with government participation, banks and public organizations. You know we do not meet often but still regularly get together in approximately the same line-up and compare our positions on the developments in the economy and in specific sectors. Vladimir Putin at a meeting with representatives of the Russian business community. 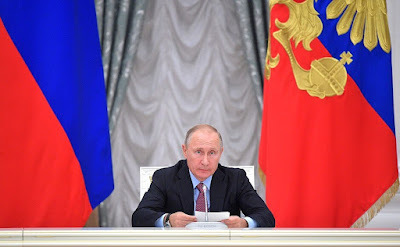 I must say that despite certain limitations, including external restrictions, the Russian economy is stabilising. As you know, it is perfectly obvious that it has overcome the recession, is gaining momentum, and has been growing for several quarters running. As you also know, we planned for fairly modest growth of about 0.8 percent. In the first quarter of the year the GDP increased by 0.5 percent but it has already gone up 2.5 percent in the second quarter. Investment increased 6.3 percent, which is the highest since the second quarter of 2012. Naturally, this is a good foundation for future development. Importantly, inflation is fairly low – less than 4 percent, which I would call the lowest in history. Industrial production is increasing. Its growth was 2 percent and certainly looks very impressive in some sectors. The manufacture of semiconductors has increased by over 24 percent, computers by 64.2 percent, grain harvesters by 31 percent, cars by 21.5 percent, buses by 16 percent, freight carriage by 78.5 percent, sunflower oil by almost 20 percent and knitwear by 23.5 percent. As I said, this growth is being recorded during historically low inflation. Naturally, it is important to understand why this is taking place and maintain these positive trends. This is actually what I would like to discuss with you. Considering that external restrictions still exist and may even be extended, I would like to hear your opinions on this situation, your assessments and proposals. This is probably all I need to say for now. 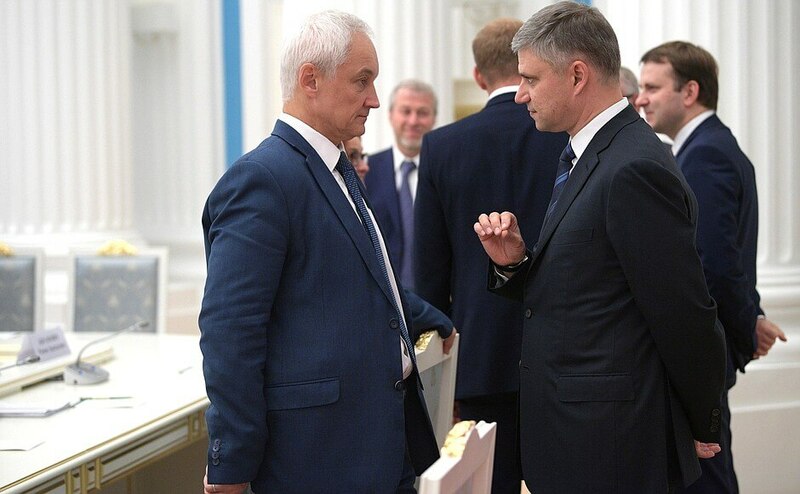 Presidential Aide Andrei Belousov and Russian Railways CEO Oleg Belozerov before the meeting with representatives of the Russian business community. 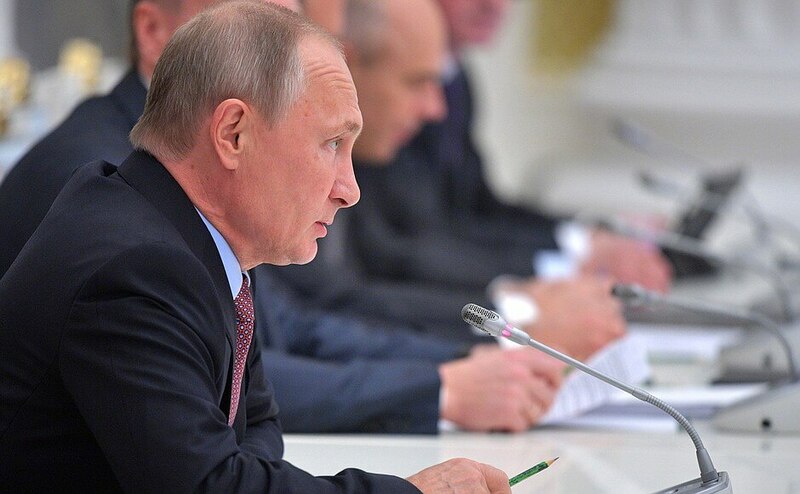 Vladimir Putin held a meeting with Russian business community representatives. 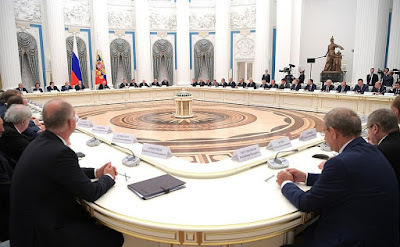 0 Comment to "Putin had a meeting with business community representatives"